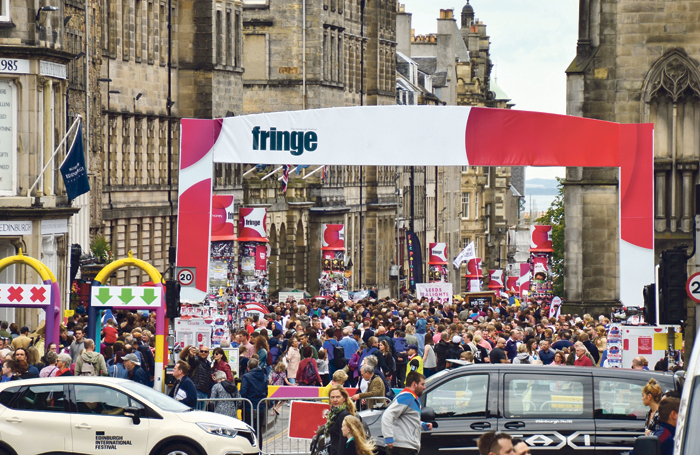 A quarter of theatre productions at this year’s Edinburgh Festival Fringe deal with social issues such as mental health and the #MeToo movement, according to research carried out by the Sit Up Awards – a new initiative that aims to help Edinburgh Fringe productions achieve a greater social impact. It revealed that 235 of the 966 theatre productions in the programme relate to social issues, which also includes women in society, LGBT issues, abuse, grief and death, race, disability and health and social media. Other social issues include poverty and homelessness, refugees, addiction, dementia and Alzheimer’s, the NHS, abortion and bullying. Mental health is the most popular topic for Fringe theatre shows, explored in 42 productions. This was followed by women in society, explored in 29 shows in 2018 compared to 3 in 2017, and LGBT issues, which are the topic of 25 shows. Shows about the effects of social media have increased from one production in 2017 to 12 this year. Alice Millest, co-founder of Sit Up and trustee of charity theatre company Clean Break and youth-led initiative Art Against Knives, added: “We have become almost numb to the sterile facts and figures we read about in the media or hear on the news.